There was lots of club action across Dublin and Ireland over the weekend. In the Dublin SFC there were wins for St. Jude’s, Ballymun, Ballyboden and St. Vincent’s. 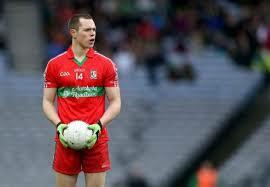 Ballymun-Kickhams advanced to the last four thanks to a Dean Rock inspired 0-15 to 0-7 victory over Raheny. 2011 champions St Brigid’s lost out to Ballyboden St Enda’s by five points, 2-13 to 1-11. St Sylvester’s battled valiantly but just fell short to the 2007 All-Ireland Club champion’s St Vincent’s. The Griffith Avenue based side beat Syl’s by 0-14 to 2-07. 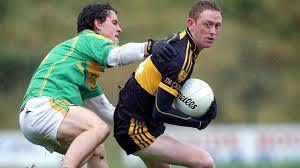 In Armagh Crossmaglen made it 17 wins in 18 years following a nine point win over Cullyhanna, 0-17 to 0-8. Ireland captain Michael Murphy helps his Glenswilly side overcome Killybegs 3-19 to 2-6. Burren lost out to Kilcoo 0-9 to 0-7 in Down, whilst in the AIB Ulster GAA Club Championship Preliminary Round Ballinderry (Derry) beat Clonoe (Tyrone) by four points 0-14 to 0-10. Dr. Crokes beat Austin Stacks by 4-16 to 0-12 to claim a historic four in a row whilst in Limerick Monaleen lost by two points to Dromcollgher-Broadford 2-9 to 2-7. In Waterford Stradbally were hammered by Ballinacourty 0-12 to 0-05. Zach Tuhoy inspired Portlaoise to a 2-8 to 1-8 victory over Arles/Killeen. In Meath Summerhill beat Na Fianna 1-13 to 1-10. In Hurling Mount Leinster Rangers claimed a 1-20 to 0-11 victory over St Mullins in Carlow whilst in Westmeath Castletown beat Geoghegan 1-12 to 0-11. Oulart-The Ballagh beat Ferns St Aidan’s by two points, 3-12 to 1-16 whilst in Wicklow Glenealy beat Bray Emmets by 0-17 to 0-14.